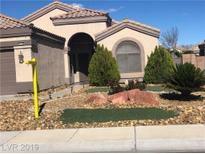 Below you can view all the homes for sale in the Copper Crest subdivision located in Las Vegas Nevada. 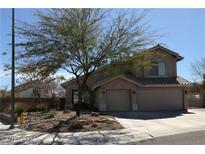 Listings in Copper Crest are updated daily from data we receive from the Las Vegas multiple listing service. To learn more about any of these homes or to receive custom notifications when a new property is listed for sale in Copper Crest, give us a call at 702-323-5963. Absolutely Darling Single Story in Established Northwest Community = Great Floorplan with 3 Bedrooms + a Den and Vaulted Ceilings **NEW Flooring and LOW-E Windows Installed in 2018** Granite Counters, Extra Kitchen Cabinets, Fully Landscaped Backyard with Covered Patio, On & On...MUST SEE! ! MLS#2083125. GK Properties. 3 Car Garage with built in storage cabinets..very clean and ready for Buyer to make it their dream home. Low cost HOA.. MLS#2078084. Simply Vegas. Absolute Attention To Detail*the Moment You Walk-in You'Ll Want To Move-in*vaulted Ceilings Illuminate Open Floor Plan W/Beautiful Flooring Throughout**expansive Kitchen Delivers Illuminated Granite Counters, Large Island All Overlooking Serene Backyard*separate Master Suite Invites You To Relax In Comfort*walk-in Closet, Separate Tub & Shower*secondary Bedroom Will Motivate You*home Is In Phenomenal Shape, Owner Has Truly Maintained Flawlessly* MLS#2073956. Redfin. Great Family Home located in the NW..Ann Rd/I-95..near Schools and easy Freeway Access to CENTENNIAL Restaurants and Shopping..Large property..with beautiful backyard..Over sized..RV PARKING and not a GATED Community..Home well taken care of and has multiple storage areas and large garage..Copper Crest Community.. MLS#2075203. Simply Vegas. Master separate from other bedrooms has a walk-in closet. Pool with Covered Patio MLS#2071424. Urban Nest Realty. Don’t miss out, Make an offer today! ! MLS#2034928. BHHS Nevada Properties.